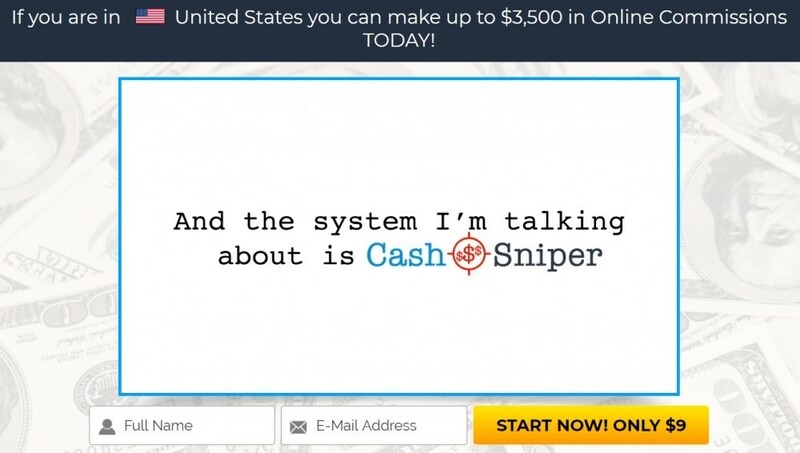 →Cash Sniper Is a Scam – Don’t Quit Your Day Job! Cash Sniper Is a Scam – Don’t Quit Your Day Job! Cash Sniper (cashsniper.co) is a new system that “you can make up to $3,500 in online commissions today” with, but you are definitely going to want to AVOID this. Can you really make that amount of money? No way. Is Cash Sniper a scam? Absolutely. Whenever I come across some “automated profit system” that takes “just a few clicks online each day” I am always suspicious, as I should be. After all, there seem to be way more scams for making money online then legitimate programs/systems. I’m guessing you probably came to the same conclusion… That this sounds an awful lot like a scam and you better look into it further. You probably got an email about some awesome new opportunity for making money online that provided a link, which you then clicked and got directed to the video presentation. How do I know this is how it works? Well, because this is how it usually works with other scammy products available on ClickBank. I have reviewed countless scams and this one reminds me a lot of some similar one such as 7 Minutes Daily Profits and AZ Sniper. It’s definitely a good thing you decided to do a little extra research and landed on my review here. Believe me, you are not going to want to buy into the system and you will see why. And definitely don’t quit your job! The guy says there will be no reason to go to work after using this system. This is a lie. And of course it is “quick and easy” and so on. Pretty much it starts out with the typical scammy sales pitch for some fairytale automated system that is going to make you boatloads of money with very little work. They show videos of people claiming to have made as much as $1 million with the system. But, as always, I was very suspicious of these testimonial videos. I’ve reviewed plenty of scams where the testimonial videos have been completely fake so even when I come across a video that is convincing, I still have to look into it more to make sure it is legitimate. The people behind the system simply paid actors to make these fake testimonial videos to try to make the offer seem more convincing. As if all that I have mentioned thus far is not already enough evidence to conclude that this is a scam, it gets worse. Seriously? I thought that the one previous scam I reviewed which claimed you could do it in 7 minutes a day was bad enough… But now this one claims you need only 5 minutes. But still… 5 minutes is way too much for me. I’m waiting for a system where I can make millions with just 30 seconds of work a day (joke). Another tell-tale sign of a scam is how the video presentation is mostly made up of a bunch of unverified income claims. You have all these people (which we now know are fake) talking about all the money they have been making, they show us all these screenshots of bank statements with boatloads of money, but where’s the proof? The testimonials are fake and it is very easy to Photoshop a bank account to make it appear as if there are tons of money in it, when there might not be. You can’t trust anything here. The spokesperson claims his name is “Ray Pickard” and he claims to have over $2 million in his bank account, but this is more than likely all made up. The fact that he does not even show a picture of himself is concerning and I have reviewed way too many scams that have been promoted under fictitious names to trust this. The reason scammers often promote their scam systems under fake names is because, of course, they do not want to face the backlash after people realize they have been scammed. They want their true identities to remain hidden. After listening to all the BS about how much money you can make with this system, the spokesperson finally gets to the point and talks about how the system actually makes you money. It is all about affiliate marketing, which is when you promote other people’s products online and earn commissions. This is a completely legitimate way to make money online, but THIS SYSTEM is not! This system does not guarantee you profits and I pretty much guarantee that you are NOT going to make profits with this system, based on what I see here. As I’ve mentioned numerous times, I have reviewed many “make money online” scams over the years. When there is a system promoted as a way that you can just sit back and watch the money roll in, it is usually a bunch of crap. You more than likely are going to get some very generic and overall low quality training on how to make money with affiliate marketing. This is probably going to leave you in a worse position than when you started, because you are just going to be wasting your time trying to make money as an affiliate doing things that simply don’t work. 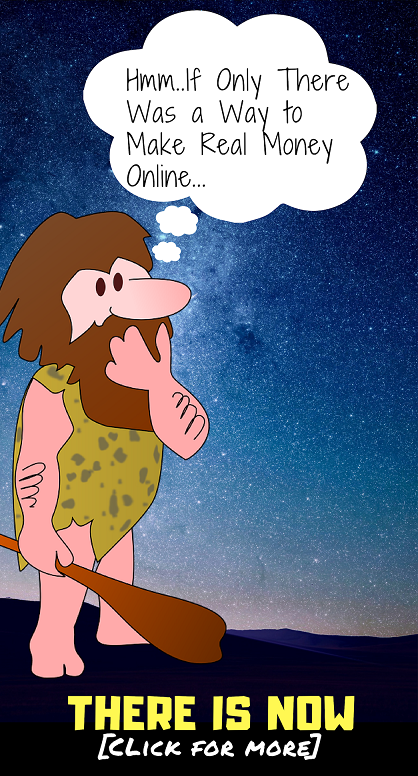 The fact of the matter is that affiliate marketing is not “easy” and it does take work. There is no 5 minute method to making money this way and I know this because I personally have been affiliate marketing since 2015. Obviously I’m not going to be recommending Cash Sniper to any of my readers. Although I have not actually buy into this product, it has all the common characteristics of being a massive scam. Clickbank is a fairly trusted platform and although this product is being sold on ClickBank, don’t ever assume that whatever is being sold on their must be legitimate. There are scams being sold there all the time. It is pretty ridiculous. But anyways… My advice = AVOID! If you are looking for a legitimate way to get started affiliate marketing then I would highly recommend checking out my free guide. As mentioned, I’ve been affiliate marketing online since 2015 and actually make a living doing so. I know how it all works and I know what it really takes to be successful. My free guide goes over exactly how I make money doing this and the best way to get started.